Graham W. Syfert - Jacksonville Lawyer: Is the World Wide Web unethical for Florida attorneys? Or, why the popular websites break the rules. Is the World Wide Web unethical for Florida attorneys? Or, why the popular websites break the rules. I grumble like an old man so often to other people about the state of websites for lawyers and how they are used. A colleague of mine, a worthy adversary in court, got to talking one day regarding the low public opinion of attorneys and he blamed it on one thing, and said it was "Advertising"
A third person was talking about her ex-husband saying "He's in a profession that is held in lower regard than an attorney." Both of us chimed in at the same time, and said, "What is he, a used car salesman?" Then my worthy adversary began complaining like an old man: "Back in the 1970's there was a ruling and suddenly attorneys could advertise all over the place. When this competition started happening, it was no longer based on the past experiences of clients and word of mouth, but instead, it was about who could give the best impression that an attorney can give them an edge. Something about this soured the whole profession." The decision was Bates v. State Bar of Arizona, 433 U.S. 350 (1977). It highlights the flipside of the argument my adversary presented. Word of mouth makes things just too difficult to find an attorney. An absolute ban on attorney advertising is probably too much. Along with this decision, the many states have come down with rules regarding attorney advertising. Attorney commercials on television are a running joke. In states like Florida, where the ethics are strictly regulated, attorney commercials are often considered a joke. "The music is always so boring," one friend said. "So, if it suddenly turned up with some heavy metal in the background, would you hire them as an attorney? "What's a better idea then?" "To make it less sucky, I don't know," was her reply. I then went on to bore her with conversations about attorney advertising regulation, and the fact that in Florida, attorneys were not supposed to use exciting music, and how in Mississippi, I saw an attorney using the phrase "turn your wreck into a check" and another who used the phrase "We get the money you deserve," as their tagline until they realized what they were saying and changed it to "We get you the money you deserve." Rule 4-7.5 limits any background sound other than instrumental music. Instrumental music isn't by definition boring. See, i.e. Explosions in the Sky (Texas 2003). However, one wonders how the commercial reviewers at the Florida bar would react to some of the raucous feedback of the howling Marshal stacks if someone where to somehow obtain a license to use a song by Jimi Hendrix, or Sonic Youth. The Florida Bar Standing Advertising Committee has come down with ethics decisions regarding the use of Facebook, Twitter, Linkedin and other websites. These rules are available in full text here: Florida Rules Regarding Facebook, Twitter, and Linked In I will attempt to itemize them, in some sort of statutory form, but also in the style of the twelve commandments, even though there are only three. a) Thou shall not invite, add, or friend request persons not in your current contact list, unless they are an attorney. b) Thou shall not send out "public messages" from social media sites, which contains links designed to generate business or solicit legal services. Section b) of my pretend statute above, will ultimately require an expansion. I fully intend to tweet a link to this article, when I am done writing. Now, most of this will only be of interest to attorneys, so I am sure I am OK when it comes to this particular article. It will be a public tweet, but only my followers will get my requests. It seems as if using the "@" symbol behind someone else's twitter name without their permission could get you in trouble, if you are promoting a link or a website. What about hash tagging a very popular trend? What about hash tagging something relevant so that people can find information? It seems as if this "public post" rule will need further clarification as technology progresses. Attorneys are not allowed to declare themselves experts in a field. They can, however, be board certified. When I signed into my linkedin account today (which is incredibly rare) I noticed that it was telling me that my profile was at 87% completeness. It gave me a progress bar as an indicator, which had a yellow sickly look, and desperately itched to turn green and show a stick and two goose eggs next to the percent sign. Now I remember why I left this part blank. It says "Skills & Expertise." The reason I include the screen capture of this is solely because it can be funny to lawyers who understand the logical use of the word AND and OR, not to mention the ampersand symbol. The grayed out words in the middle say, "Enter your skill OR expertise." Florida bar prohibits the use of the word expert, or expertise, to describe services but would most likely accept "skills." Logically, if it is an "or" Statement, then it is either a skill or an expertise, or both. The ampersand, standing for "and", means it is BOTH a skill and an expertise. This is how it would be seen by the general public. Therefore, I believe, that putting criminal law or any other words in this section is inherently unethical, unless an attorney wanted to add truly unrelated skills such as kung fu or linux administration. First, let me confess that I don't really "get" facebook. I honestly don't know where features are within the interface, but this isn't from a lack of computer knowledge, it is instead from a lack of Facebook use. The most intriguing part about Facebook to me is that it is cataloging a massive database of the human experience, ranging from the exciting exchange of new ideas and information, to what someone had for breakfast that morning. This exchange of personal information and ideas will ultimately lead to great change. My friends on Facebook rarely see any activity from me. My personal Facebook is a mixture of random people that friend me, real friends, and people I friend-ed. Sometimes, if I read an article about someone that is interesting and they have a Facebook, I will send them a friend request. While I do make good attempts to keep a clean line between my personal time and my business time, I have never made such attempts when it comes to my personal facebook and my business facebook. I have created a business page, but that is about as far as I got. Needless to say, writing a script that targets people who use the term DUI in a public post, or car accident, and then reaches out to message them on facebook regarding legal services, would be improper. The technology of http://weknowwhatyouredoing.com/ could readily be applied to this unethical enterprise, to seek out people complaining about their daily lives. Ambulance Chasing/Facebook chasing. Potential search terms "Hospital" "wreck". See Danny DeVito in "The Rainmaker"
The legality of Legalzoom and Quicken Family Lawyer has been decided by a number of courts to not be an unlicensed practice of law. Legalzoom and other form sites like it, following their success, they were emboldened to go even further, and offer attorney services directly from their website. They have set up a buffer, in the form of an attorney referral company. The form market is a big business. The attorney market is a big business. Companies like legalzoom have attorney Robert Shapiro pitching for them on TV, as a spokesperson. Their website tries to make very clear that they are not attorneys. They are more worried about sales of a form, than whether a form will fit a particular purpose. There is no customization of a legalzoom form other than what they permit. Rocketlawyer, falls to this same pitfall, as do most others. I readily admit to doing stupid word link based SEO on my own sites, where I am permitted to control the content. On other blogs, if I posted a comment, I wouldn't even think of creating a link, except to my page, but not by including a search term. On this blog, I have noticed many attorneys who hire SEO companies to make comments like (Thank you, this will really help with my legal research) and then sign it "houston criminal attorney". I have traced the IP's back to China. So, there are some attorneys out there who are hiring SEO Companies who are in turn hiring chinese citizens to write blog posts using fake names and creating links to help search engine optimization. Based on some of the comments, and their lack of relevance to blog posts, these Chinese SEO subcontractors likely don't have even a rudimentary grasp of English. I see some law firms with 30+ reviews on sites like google places and yelp. I do not care what kind of success rate a person has, most people do not take the time out of their day to comment about the services their attorney is providing. How many of these reviews were solicited? Any attorney has always known that word of mouth is the most powerful tool for bringing in business. As things progress, "Word of Mouth" will have less to do with what is spoken, and have more to do with what is typed or otherwise recorded online. Don't even get me started on avvo. I don't think that they are doing anything directly unethical, but the "Rating" system is off kilter. Then again, I think that the Martindale-Hubbell rating system is off kilter as well. Some attorneys have no clout in a community, and are unknown by judges and other attorneys. These people still have and serve clients. The best thing that Avvo has done, it has all but destroyed what used to be an over simplistic monopoly. It adds in, for at least some portion, client satisfaction. And since I used his research, I will willingly plug him with one of those nasty links. colorado springs probate attorney I don't know him, but he seems like a good enough guy. He's AV rated, so he must be right? The way that the quote is worded, it makes it seem like it was designed to help judges discuss whether a lawyer was able or ethical. But let there be no mistake about it, Martindale-Hubbell Peer Review ratings were designed for the public, for the purposes of advertisement, and seem to me like they should be included in rule 4-7.2 's restriction on the characterization of services. It also seemingly promotes the "good old boy" system where the losers and winners are picked from within the community, and not by the consumer. d) Thou shall not use a scale from one interval to another interval, to define the characteristics of an attorney. Avvo is based on a game theory, to achieve the goal of a 10.0, or a level 15 contributor, and has many attorneys running around like hamsters in wheels. The whole thing smacks of role playing. "My attorney is a level 15 contributor to avvo with 40 hit points, 10exp and 1 magic." I know you're thinking I'm a role playing geek right now, but I am proud to say I was thrown out of every role playing game I was ever asked to participate in. 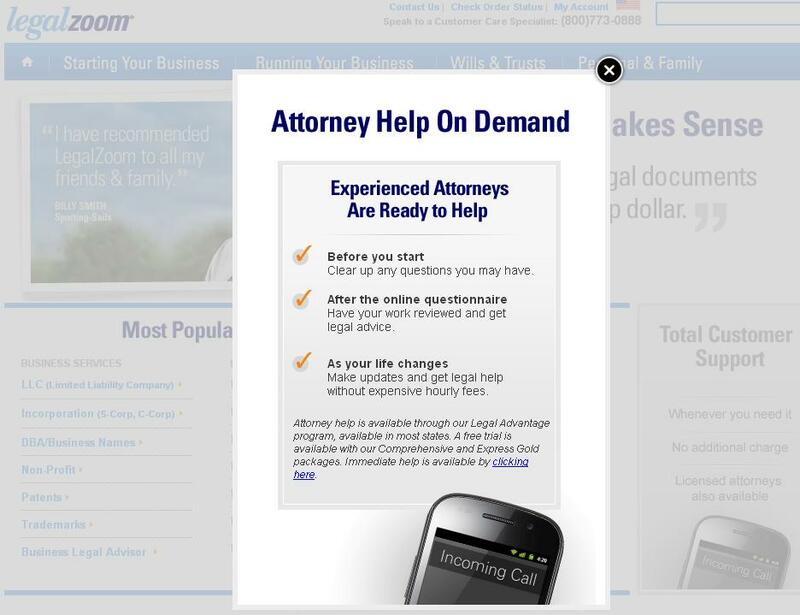 I see so many emerging websites and dangerous trends for attorneys on the web. Some of these amount to very complicated profit splitting. None of them are truly adequate. What is needed is a website where an attorney will be able to control his content, sell his own forms, and offer his own services for review, cutting out the middleman. Advertising alone could be worth hundreds of thousands. It could combine the best of all services, but provide for content from attorneys, allowing them to interface with the public and sell their own materials rather than reviewing a legalzoom contract or a rocketlawyer contract. Preferrably one with a consumer only based rating system or none at all. Rating the FORMS of an attorney should be much better than rating the CHARACTER of an attorney. And now that I look back on the post, I am already a little wary of my Avvo rating slipping from negative commments, and Martindale-Hubbell not letting me be peer reviewed.